Sign Source Solution can help you make your business stand out from the crowd. Custom interior signs help build trust with customers by enhancing the professional appearance of your workplace. They can be used share information, strengthen your branding efforts, and market special events, sales, and products. Choose from channel letters, lobby signs, wayfinding signs, LED signs, metal signs, custom banners, wall murals, and more. Raise brand awareness and help customers locate your business using custom exterior signs. Attractive outdoor business signs will catch the attention of passersby and help you stand out from your competition, resulting in increased sales. Options include illuminated LED signs, post and panel signs, pylon signs, channel letters, monument signs, directional signs, and more. Transform your company vehicle into a mobile sign that advertises your business everyday. High-quality commercial vehicle wraps will ensure that people in your community become familiar with your brand’s name, logo, and tagline. In result, you’ll be top-of-mind when they need a service or product your company offers. Wraps can be applied to a variety of vehicles, including cars, vans, and trucks. Choose from a full or partial wrap, or vehicle lettering. Custom lobby signs are a vital component of every business with a reception area. These signs create a trustworthy and professional atmosphere inside your business. Equipping your business with lobby signs will help attract customers, strengthen your brand, and enhance your office’s overall appearance. Options include logo signs, channel letters, metal signs, acrylic signs, and more. Events and tradeshows are ideal ways to market your business. Ensure that your brand is noticed at every event using custom event signs and tradeshow signs. Colourful and attractive custom signs will build your brand’s identity and strengthen awareness amongst your target audience, which will help attract more customers. Choose from custom banners, retractable banners, custom flags, tradeshow displays, and more. Help your business get noticed using custom signs. Installing custom commercial signage inside and outside your workplace will reinforce your branding and help you stand out from the crowd. In result, your business will enjoy greater brand awareness and have an edge over your competition. High-quality, custom signs make a positive impression with customers by creating a professional and established appearance. Choose from building signs, monument signs, custom billboards, custom banners, lighted signs, and more. Welcome to Sign Source Solution, Ontario’s premier source for quality vehicle wraps and custom commercial signs. We make it a priority to understand our clients’ unique branding needs and signage requirements. Customer service excellence is our top priority. We respond to all inquires in a timely manner, and provide our clients with access to the most advanced equipment, talented designers, and skilled service. By choosing Sign Source Solution, you can rest assured knowing that we always deliver superior design, manufacturing, and signage installation services that meet your schedule and budget. Explore our wide selection of custom vehicle graphics, interior signs, and exterior signs, and contact us to receive a complimentary quote. We look forward to becoming your reliable signage partner. The pleasure was all ours here at JL. I personally would like to thank you again, I dealt with many potential companies on trying to get this thing done and none were as professional as you and your company. So job well done, and I’ll be sure to be in touch for future projects and referrals. We are very pleased with the vinyl window art. Your expertise in the field aided to maximize our marketing opportunity. The quality is excellent and the service we received was second to none. Your installers were polite and professional and we appreciated that they worked extended hours to complete the installation in one day realizing our tight timeline. We look forward to working with you in the future! WARNING if you are in the market to have your vehicle wrapped and you want an excellent product, excellent service, and instant results GO NO FURTHER as Sign Source is where you need to go. Talk about people with integrity and talent !!!! I LOVE my wrap – it is MORE than what I expected. Their attention to detail is spectacular – they really get it!!!! 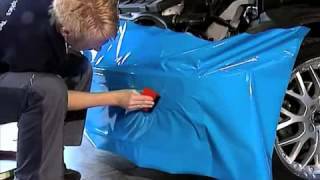 Wondering How We Wrap Vehicles? We’ve been supplying and installing quality vehicle wraps for over twenty years. Our wraps appear on the sides of thousands of cars, vans, and trucks across Ontario. Turn your company’s vehicle into a mobile billboard that promotes your business 24/7, whether your vehicle is parked or travelling the highway. If you want to raise brand awareness and keep your brand top-of-mind, a quality vehicle wrap is one of the best signage solutions for your needs. Our work impacts millions of motorists, benefits our nation’s top executives at Fortune 500 companies in Bay St. boardrooms, and appears on the vinyl sides of thousands of automobiles on Ontario highways. Contact us today to arrange your consultation. We respond to inquiries in a timely manner, and spend time learning about and understanding your needs and the message you want to convey. We offer excellent customer service and access to skilled graphic designer. Our company helps customers create more effective signs, using the latest and fastest equipment. We deliver on-time service, on-budget, and on-quality. You can trust Sign Source Solution with your business brand and vision. Sign Source Solution Makes Brands Look Beautiful With Custom Signs. Our signs are designed to communicate clear messages to increase foot traffic and sales. Whether you need a tall pylon sign in your parking lot to help customers locate your business, or an attractive lobby sign to welcome clients, we can help. Our expert signage team has years of experience designing, assembling, and installing commercial signs of every type and size. Sign Source Solution is also a 3M preferred vehicle wrap installer and we’re ranked among the best installers in the industry. We only use the highest quality printed vinyl for our vehicle graphics to ensure that our clients receive a superior, long-lasting wrap. Bring your creative ideas and sketches for your brand to the professionals Sign Source Solution. Our skill and expertise will help your business dominate the marketplace. Professional building signs directly impact your business or property. Outdoor building signs help potential customers and people within your community locate your business while raising brand awareness. They act as an exterior representation of your brand and help to shape public perception of your business. A high-quality building sign will encourage more people to walk through your door and learn more about your business. In result, you’ll benefit from increased sales, foot traffic, or leased space. Exterior building sign options include channel letters, illuminated sign cabinets, and branded business awnings, and more. Sign Source Solution offers a professional quality car vinyl wrap in Toronto for all your mobile advertising needs. Using the highest quality 3M vinyl wraps, we are able to cover all types of vehicles — cars, vans, trucks, buses, trailers, racing cars, cube vans, boats and even airplanes! With our professional installers with years of experience, you will be guaranteed a great wrap for your vehicle, whatever it may be. "...THE BITTERNESS OF POOR QUALITY REMAINS LONG AFTER THE SWEETNESS OF LOW PRICE FORGOTTEN...."